Why not 'do something different' and Bring life to your event by getting your guests up and rolling. Rest assured that with our packages we supply high quality quad roller skates with all the safety equipment needed such as helmets, knee pads, arm pads and wrist guards, along with a PA sound system and a wide range of music to suit any taste. Laser & LED lighting can be set up to give it the disco feel. 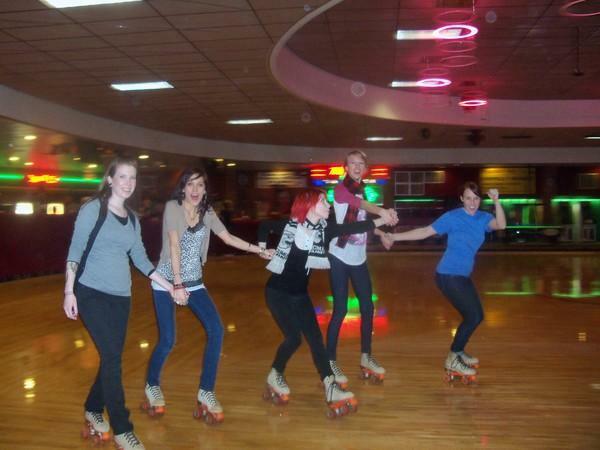 At Rollback we offer 3 types of roller skate party package and the following features come as standard. These parties allow you to take part in our popular public sessions with the added spectacle of hosting your own special celebration. Ultimately, these provide a good way to add that something special to any celebration without having to source additional items. Our integrated packages are limited for each venue, so it's wise to book in advance to secure your date. This package is perfect if you dont have a hall or the space and time to organise an event. Once you have had a chance to look at the information in the brochures and you're ready to make a booking, please click below to request availability and make a payment. If you have any other questions, don't hesitate to get in touch.